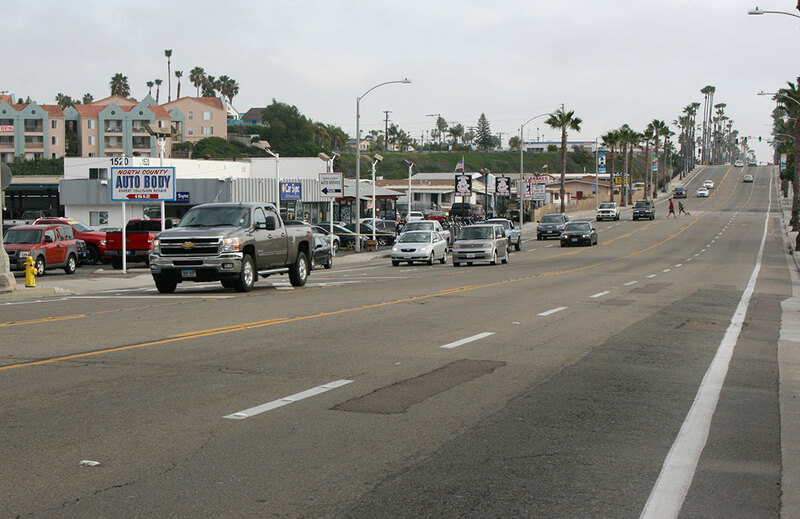 OCEANSIDE — The City Council, with Mayor Jim Wood absent, voted to unanimously approve a pilot program designed to reduce traffic lanes on south Coast Highway, and increase bike and pedestrian safety. The traffic calming design would reduce lanes from two to one in each direction, and add a 16-foot bike lane and buffer on each side of the road. The pilot design would serve as a test run for the adopted Coast Highway Vision Plan, and allow city staff to weigh the effects of lane reduction on traffic speeds, bike and pedestrian safety and traffic patterns. Smith said part of the pilot design would track changes in vehicles speeds and traffic patterns, including use of side streets. A Traffic Measurement System would be installed in the study area between Oceanside Boulevard and Morse Street to measure vehicle travel time, speed and origin of destination. This would allow analysis of road changes on drivers’ commute times. Reduced traffic lanes would allow room for eight-foot bike lanes and eight-foot buffers on both sides of the road. “It enables us have bit of a buffer and enhances the bike land zone,” Smith said. An illuminated crosswalk with curb bump-outs and a center refuge would also be added at the Loma Alta Creek foot path. Smith said the temporary measures are in response to the City Council’s direction to look into safety improvements to the section of Coast Highway, which is the missing link in the Coastal Rail Trail, in December. At the Dec. 2 council meeting, residents demanded improvements to South Coast Highway following a fatal collision involving a 12-year-old boy who was riding his bike to school. Members of the Live for Logan action group said the pilot design is not a long-term solution, but does offer a cost-effective means to provide safe passage between north and south Oceanside until further improvements are made. They also said they do not expect all residents to be on board with the idea. 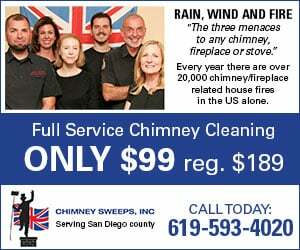 In addition to working with the city to find long-term solutions, the group has approached south Oceanside business owners to urge them to increase the visibility from their driveways by cutting back hedges and lowering retaining walls. Group members said Oceanside RV Park agreed to install stop signs and pavement markings at its driveways, and redesign the area around the driveways to improve visibility. The total cost of the project is $128,000 and road improvements could be made in as soon as 30 days. The cities of Carlsbad, Encinitas and Solana Beach already have marked sharrow lanes, bike lanes and installed illuminated pedestrian crossings along Coast Highway as part of streetscape projects over the last three years. Encinitas has also reduced the highway to one lane in each direction in some sections.